Feeling some workplace pride? Vote in our resurrected Best Workplaces Survey and show off what makes your workplace a great place to work. The most recent list that had similar qualities was created by Food Processing magazine...10 year ago. 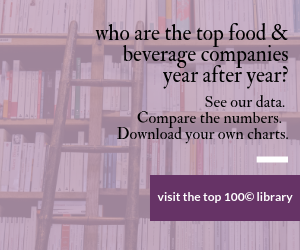 Ten years is way too long to find and follow up with some of the best food and beverage workplaces in North America which is why I'm personally resurrecting the Food Processing List of Best Food & Beverage Workplaces. Given the success of our R&D Teams of the Year survey, we've decided to use the same survey technique for this survey. But there's a catch. Because we haven't done this in 10 years and we've never done it electronically, we need everyone's participation to make the results worthy of an online exclusive.Send this survey to your coworkers, your friends and everyone else in your favorite workplace. Feel free to email me (eerickson@putman.net) with any questions, concerns, Flickr streams or YouTube videos of your company's last holiday party or any evidence of what makes the company you're nominating the best workplace.